The one room in my house that is one of the most utilized but also the most unorganized is the pantry. I have been wanting to organize this space for the LONGEST time but just never got around to it! 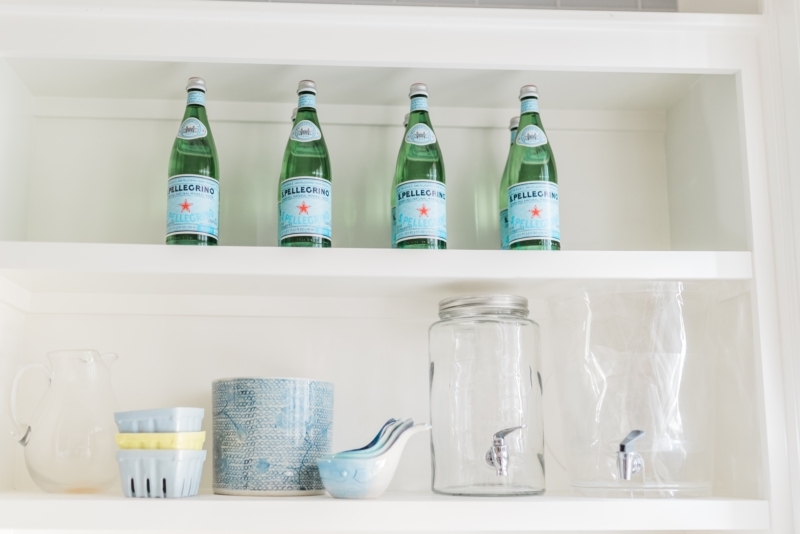 I’ve always wanted to have a clean, cute pantry space that I enjoyed going in and using, but instead it became a very cluttered space with zero structure. I decided to take action and took the term “spring cleaning” to a whole new level!!! With the help of The Container Store I was able to update and organize my pantry and it feels sooooo good! 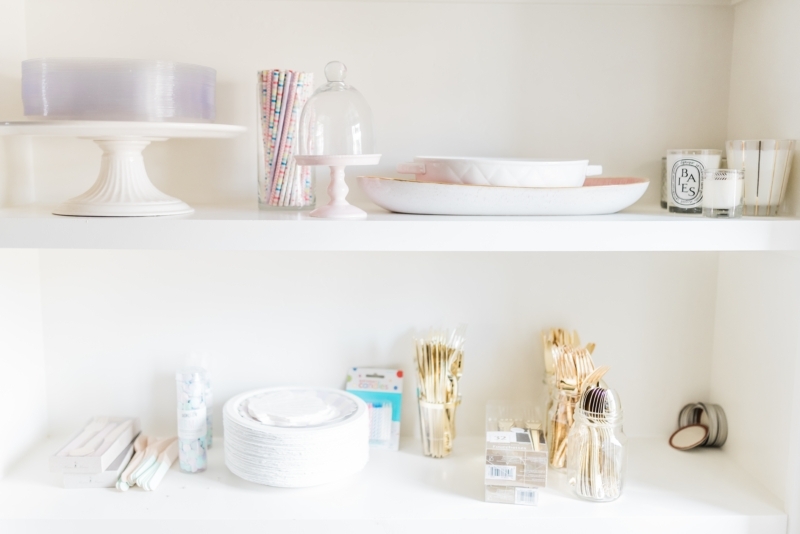 I asked Morgan who is a professional when it comes to designing and organizing closets and pantries for Alice Lane, (and who happened to help me with my pantry) to give me 5 tips to share with you all!! ° Invest in the right storage & make it cohesive! This will maximize your space and help solve some of the chaos, it also will be visually satisfying. 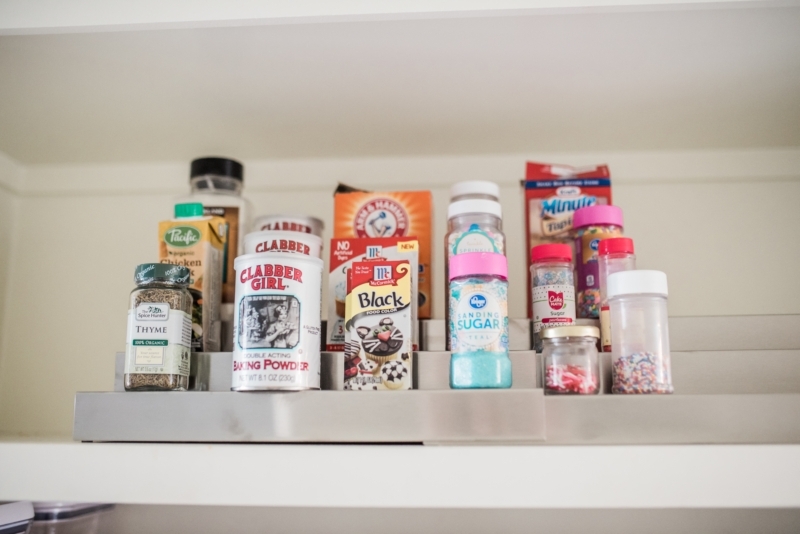 ° Organize your shelves by category – baking, dry goods, snacks, etc. 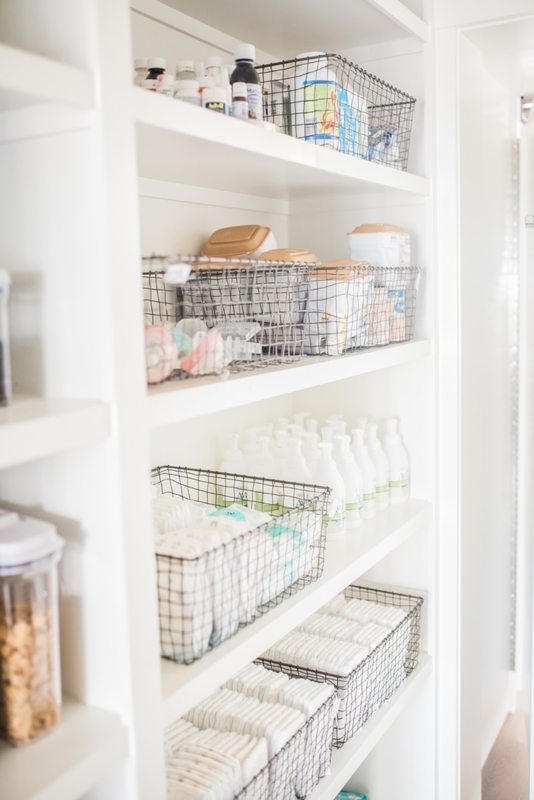 How do you guys feel about your pantry?! 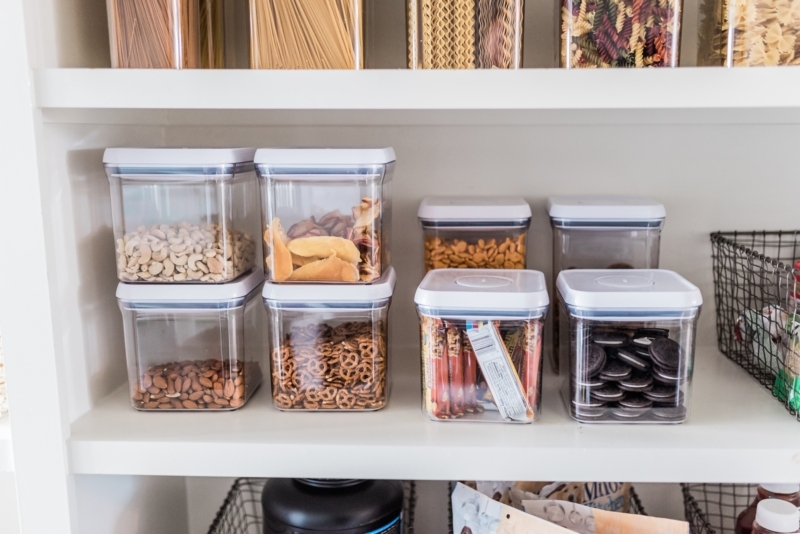 If you’d like to put these tips to action you should definitely check out The Container Store’s Annual Kitchen & Pantry Sale going on now through April 1st! 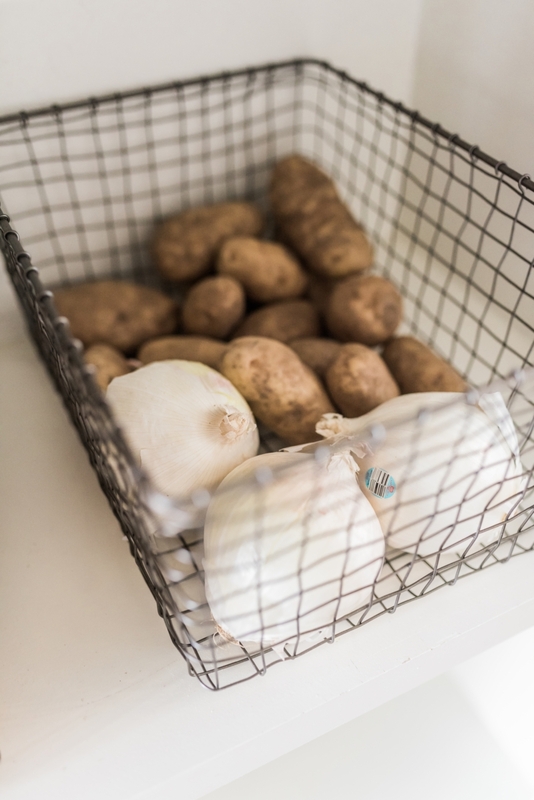 They have hundreds of kitchen and pantry products 25% off including these baskets that I used (similar style here and here). Click here to take advantage of the sale before it ends this weekend! Sponsored by The Container Store. 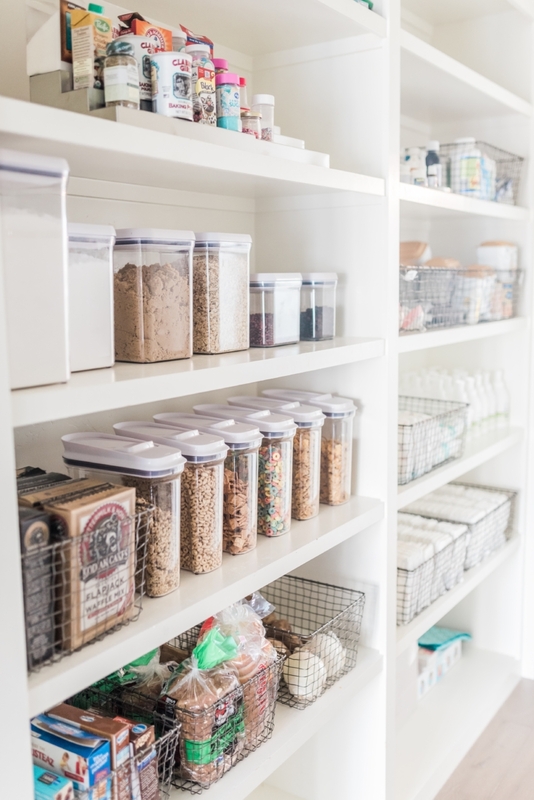 I love how organized your pantry looks! I couldn’t agree more that investing in the right storage stuff makes all the difference! 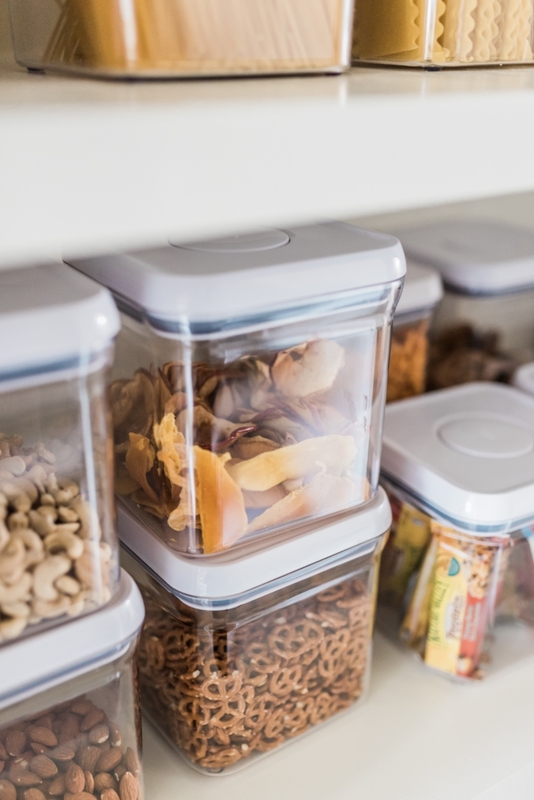 what recommendations do you have for monitoring expiration dates on products you’ve repackaged into these amazing containers? i love the way the containers look, but worry i won’t know when something has gone bad. thank you! Love how this turned out!! It’s amazing how organizing food into bins and jars can turn an everyday thing into something that’s functional and beautiful to look at! 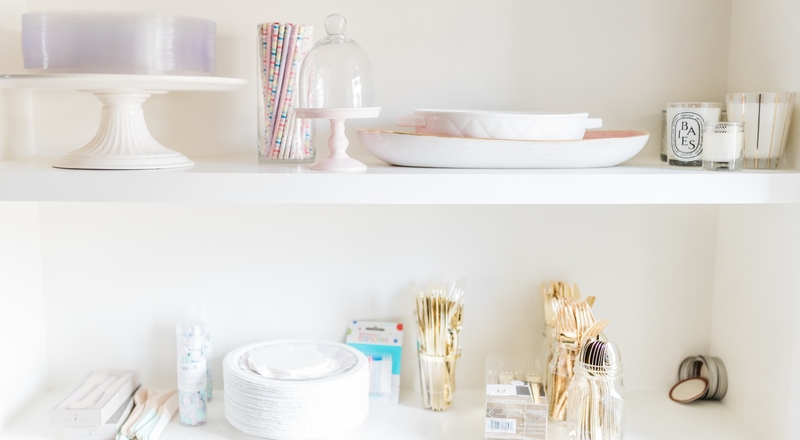 Always love an organized space! So clean and organized. Love it so much! This is stunning! 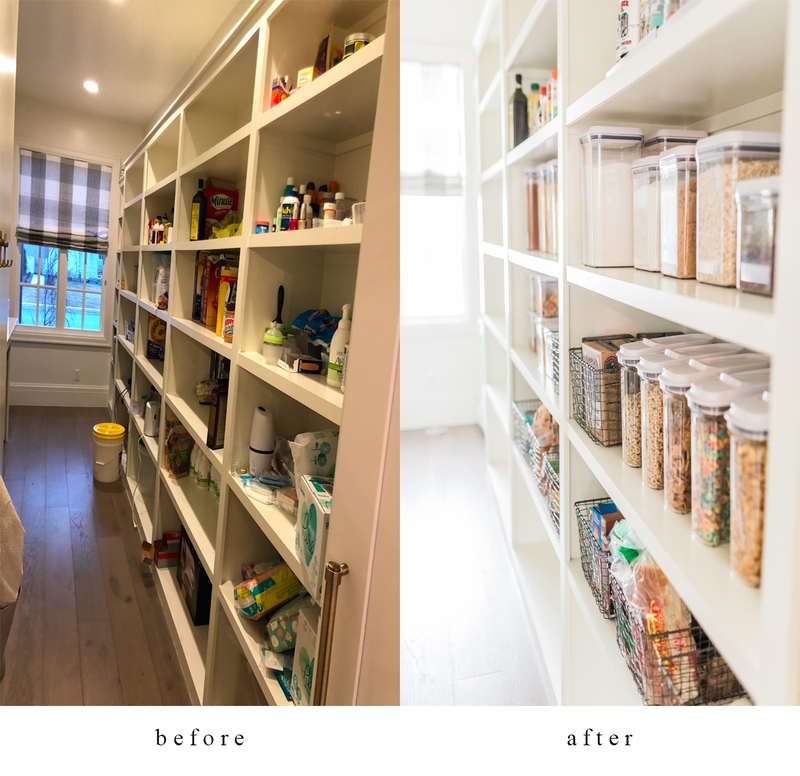 we’re building a new home right now and I’m so excited to have a real pantry like this for the first time in our marriage and all 8 moves that we’ve made! Cannot wait to make it as pretty as this! 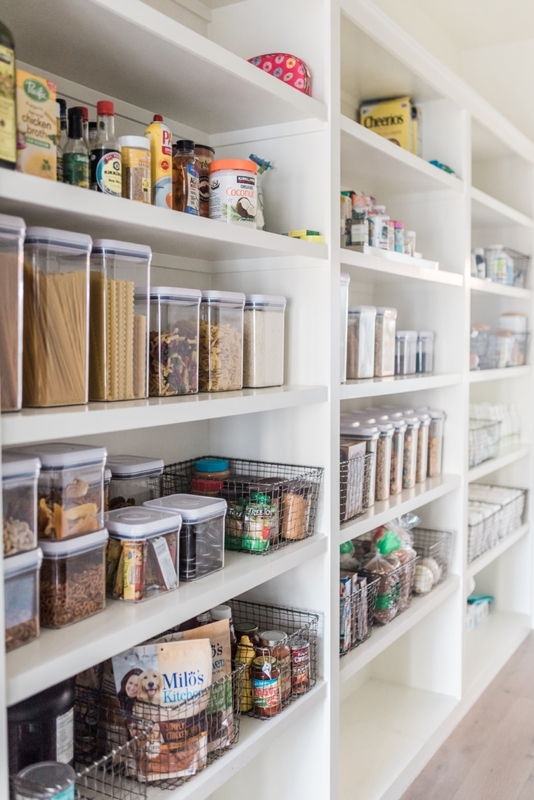 Your pantry is to die for, i love it!! Heading to the container store to Ake mine look similar but on a much smaller scale. I do want to comment On your pet treats though. If you have Netflix, Please go on there and watch “pet fooled”, milos kitchen is one Of the worst treats you can feed your pup amd sadly i know this forst hand because it used To be our brand of choice. 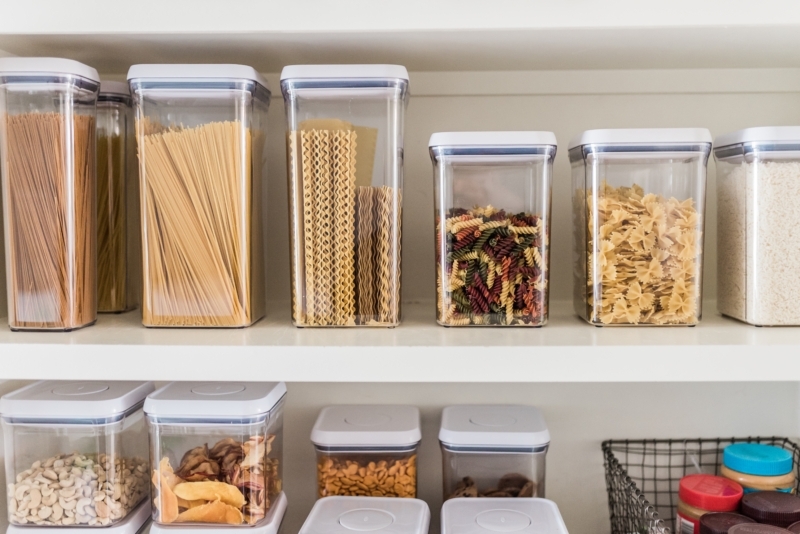 Good luck and again, great job on your pantry, i have serious container envy. Hi there, the pantry looks amazing but where did you buy the Wire baskets you used? The link gor the wite baskets is to another basket style. There is an amazing order in your pantry. I am very impressed. Loved this post! 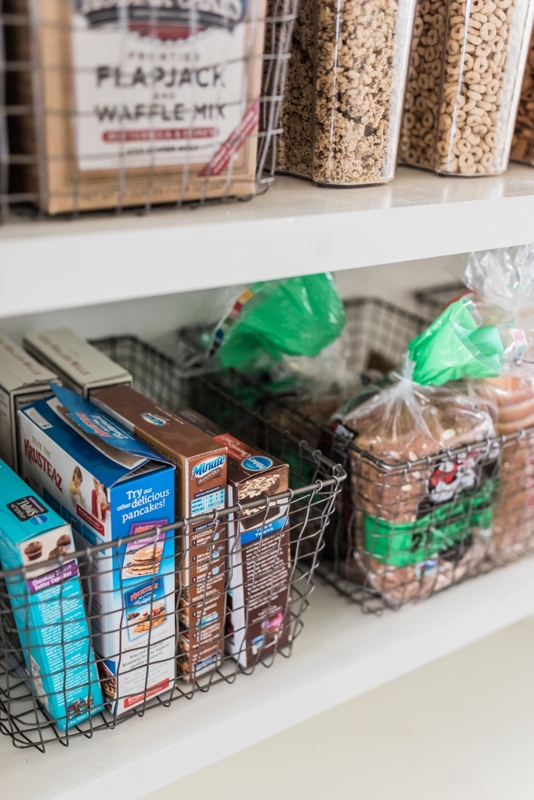 I love organization and having a pantry with everything clear to see makes it so much easier! Now I need to organize mine like this!